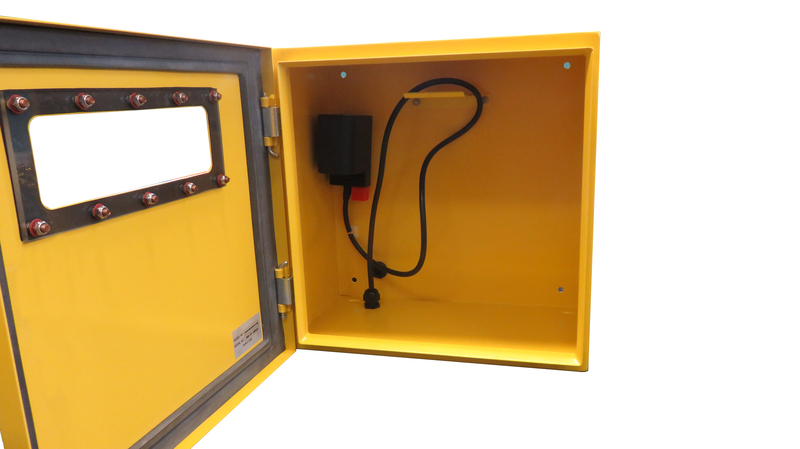 The highly visible and robust Mild Steel Cabinet with no lock and heating will provide you with peace of mind that your life-saving investment is safe and kept in an optimum working condition at all times. 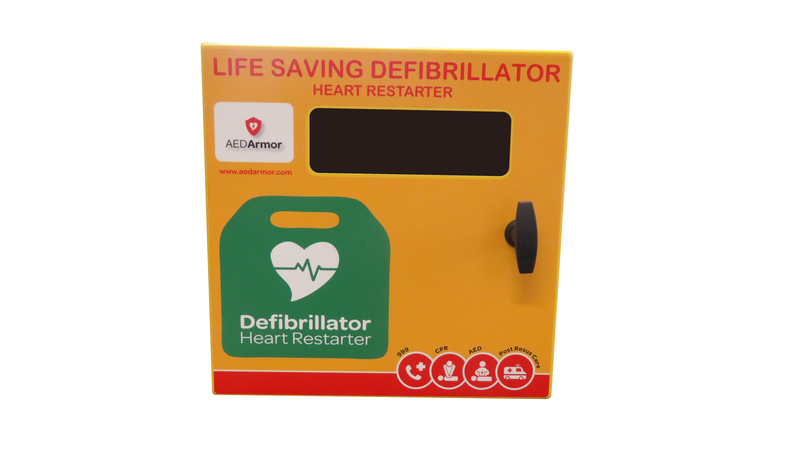 Designed and manufactured to a high standard, this cabinet will ensure the temperature your AED is housed in is adequate whilst also being easily retrievable in the event of a cardiac emergency. The bright bold design, accompanied by the chain of survival on the front will ensure that any rescuer of any level is thoroughly aided whilst delivering the life-saving treatment to the casualty. For an additional cost, this cabinet can be personalised. To take advantage of this optional extra, speak to one of our advisors. Please note there is currently a 5 – 6 week lead time for this product. If you require more information about this storage solution, or any other storage solution on our website, get in touch with one of the AED Armor team members. Simply call 0333 678 0246 and one of our knowledgeable advisors will be happy to provide all the information you need.